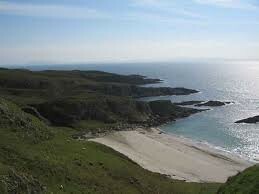 The island of Mull is the third largest of the Hebridean islands and, after Skye, the most popular. 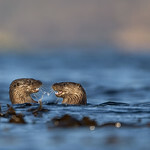 Everyone has their own favourite island, but Mull has enough going for it to appeal to most tastes: spectacular mountain scenery; 300 miles of wild coastline; castles; wildlife; a narrow-gauge railway; some of the best fishing in Scotland; and some of the prettiest little villages; all in an area roughly 24 miles from north to south and 26 miles from east to west. 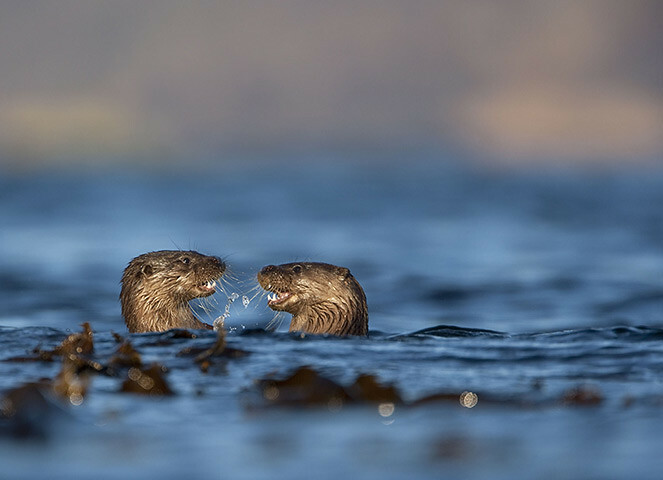 It's worth spending time on Mull to fully appreciate its pleasures and to take advantage of the great hospitality of an island where people don't even have to lock their doors at night. Like many of the Hebridean islands, the people of Mull, or Muileachs, suffered greatly during the Clearances, when they were forced off their land to make way for sheep. The subsequent decline in population was exacerbated by the terrible potato famine of 1846, and the population fell dramatically from a peak of 10,600 in 1820. Numbers have stabilized to around 2,500 in recent years, mainly through the replacement of native islanders by English and Scottish incomers, known as 'White Settlers'. This is something of a sore point and the locals sarcastically refer to their island as 'The Officer's Mess', when the resident population rises to around 8,000 during the summer. With around 600,000 visitors a year, tourism is an important contributor to the island's economy, supplementing the traditional fishing, crofting and whisky distilling. 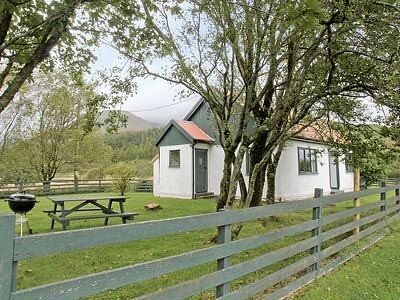 Despite the numbers, Mull remains unspoiled, though the main roads become congested at the height of the season and accommodation can be hard to find, as there are few large hotels or campsites on the island. Mull is well served by ferry services. 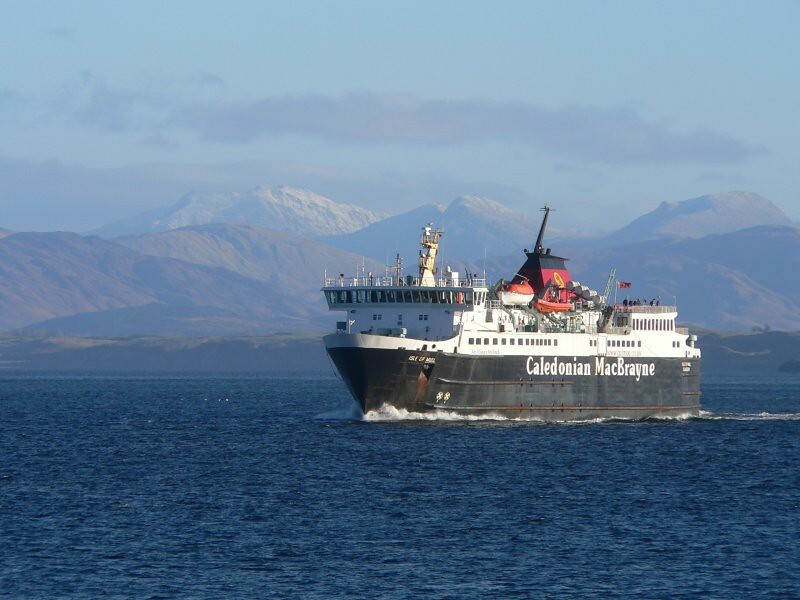 From Oban to Craignure (40 mins) 6-8 times daily Mon-Sat and 5 times daily on Sun. One-way tickets cost £3.55 per passenger and £24.55 per car. CalMac offices: Oban, Tel. 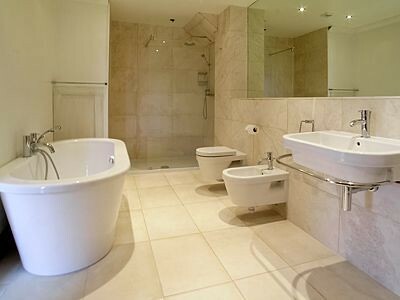 01631-566688, and Craignure, Tel. 01680-812343. 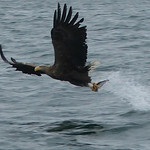 From Kilchoan to Tobermory 7 times daily Mon-Sat and 5 times daily on Sun (Jun-Aug). A one-way tickets cost £3.40 per passenger and £18.05 per car. From Lochaline to Fishnish (15 mins) hourly 0700-1910 Mon-Sat and 0900-1800 Sun. A one-way ticket costs £2.15 per passenger and £9.65 per car. 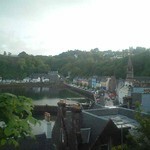 Some ferries from Oban to Coll and Tiree call in at Tobermory. You can get to most parts of the island by bus. Services given below are for Apr-Oct. Winter services are less frequent. There's a bus from Tobermory post office to Dervaig and Calgary, 5 times a day Mon-Fri and twice on Sat (operated by RN Carmichael, Tel. 01688-302220). The Craignure buses to Tobermory via Salen service runs 5 times a day Mon-Fri, 8 times on Sat and 3 times on Sun (operated by Bowman's Coaches, Tel. 01680-812313, and Highlands & Islands Coaches, Tel. 01680-812510 and no website as far as I know!). There's a bus from Craignure to Fionnphort (for Iona) 6 times a day Mon-Fri, 4 times on Sat and 1 on Sun (Bowman's and Highlands & Islands). 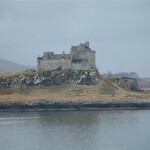 There's also a postbus service from Salen to Burg (Kilninian) via the Ulva Ferry twice a day Mon-Sat (Royal Mail, Tel. 01463-256200). For bus times, contact the operators or pick up a free copy of the Mull Area Transport Guide at the tourist office in Oban, Tobermory or Craignure. This also includes ferry times. The island's 140 miles of roads are almost all single-track and mostly in poor condition, so allow plenty of time to get from place to place. 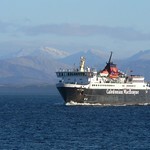 The best sections are from Craignure to Salen and the few miles south from Tobermory towards Salen. Petrol stations are few and far between, so it's best to fill up before leaving Oban, on arrival in Craignure, or in Tobermory. Another point worth noting is that the sheep on Mull are even more fearless and stubborn than in other parts of the Highlands and Islands and regard the roads very much as their own, which can slow you down even more. If you want to try your luck, you can hire a car from Mackay's Garage in Tobermory, or at the Bayview Garage (no website but you call 01680 812444) just outside Craignure, on the road to Toronsay Castle. Expect to pay around £32-35 a day. Cycling is a good way to get around and there are a number of places to rent bikes. In Tobermory there's Brown's Hardware shop on Main St, Tel. 01688-302020, or try the youth hostel. In Salen there's On Yer Bike, Tel. 01680-300501, which also has a shop by the ferry terminal in Craignure, Tel. 01680-812487. The best time to visit is generally May and Jun and late Aug to Sep. At these times midges and clegs (horse flies) are not so much of a problem. But Mull is the wettest of the Hebridean islands and rain can fall at any time, even in the summer months, so you'll need to come prepared. 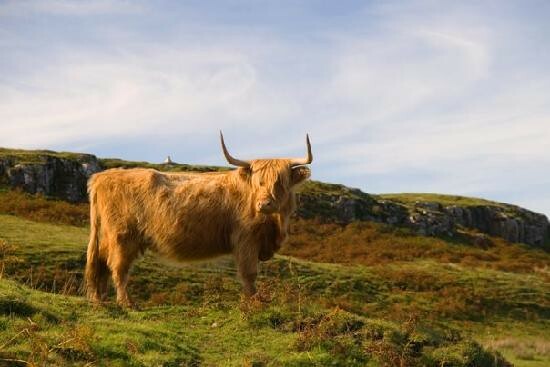 A great time to be on Mull is during the annual Mull Music Festival, known as the Whisky Olympics, is held on the last weekend of Apr, when you can enjoy a feast of Gaelic folk music and, of course, whisky. 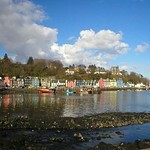 The focus of the festival is the bar of the Mishnish Hotel (see website) in Tobermory (for details Tel. 01688-302383). Another great musical event is the Mendelssohn on Mull Festival, held over 10 days in early Jul to commemorate the famous composer's visit here in 1829. The Sound of Mull, a day long celebration of local rock and pop acts, takes place at the end of Sep. 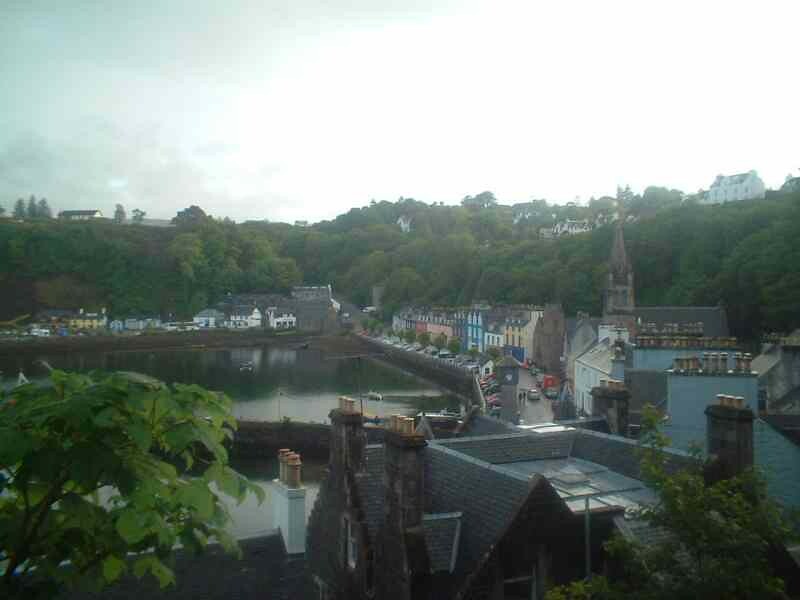 The Tobermory Highland Games take place annually on the 3rd Thu in July. Rally enthusiasts should not miss the Tour of Mull Rally held in early Oct, which is part of the Scottish Championship. Anyone who's complained about the state of Mull's roads (and who hasn't?) should watch the professionals hurtle around the island at over 60 mph! Check out this handy list of Mull events from The Bellachroy (a local pub). 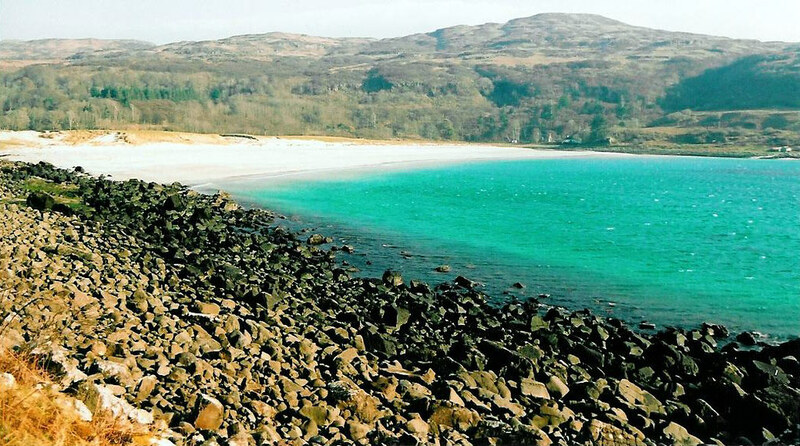 Mull presents numerous walking opportunities, ranging from gentle forest trails to wild and dramatic coastal routes, or even a spot of Munro-bagging for the more intrepid. With the exception of the Cuillins on Skye, Mull's highest peak (3,169 ft) is the only Munro not on the mainland. The trail starts at a lay-by on the B8035, at Dishig, and is fairly clear, though it can be tricky near the top. Return the same way, or more experienced climbers could continue down the narrow ridge to the eastern summit, A'Chioch, then descend the eastern face to the road that skirts Loch Ba. The views from the top are magnificent, across the other Hebridean islands and even as far as Ireland. If it's a cloudy day, it's worth postponing the ascent until there's clear weather. Allow around six hours for the round trip. 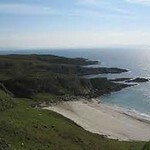 There are a couple of excellent coastal walks which start out from Carsaig Bay. A good path heads west along the shore to Carsaig Arches at Malcom's Point. 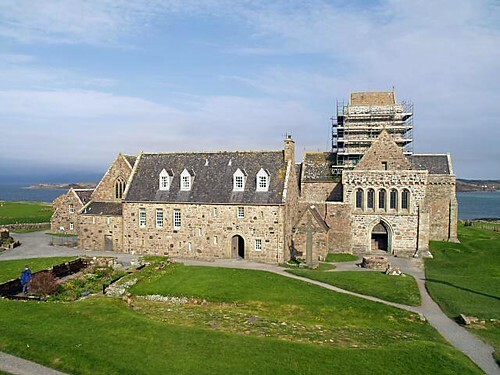 The path runs below the cliffs out to the headland and then around it, and after about a mile reaches Nun's Cave, a wide and shallow cave where the nuns of Iona took refuge after being expelled during the Reformation. The path continues for another mile or so, but becomes a bit exposed in places and traverses a steep slope above a sheer drop into the sea. The famous arches are columnar basalts worn into fantastic shapes. One is a free-standing rock stack and another is a huge cave with two entrances. You'll need to allow about four hours in total plus some time at the arches. Heading east from Carsaig Bay is a spectacular 4€-mile walk to Lochbuie, past Adnunan stack. It starts out through woodland, then follows the shore below the steep cliffs, with waterfalls plunging straight into the sea. It's easy at first but then gets very muddy in places and there's quite a bit of wading through boggy marsh, so make sure you've got good walking boots. Allow about five to six hours in total. A shorter walk takes you to the bronze age Lochbuie Stone Circle at the foot of Ben Buie. Leave your car at the stone bridge before you reach the village. Look for the green sign on the gate to your left and follow the white marker stones across the field. The stone circle is hidden behind a wall of rhododendrons, so follow the marker stones across the plank bridge until you see it. It takes about 30 minutes. There are a few marked trails through Forestry Commission land on Mull. 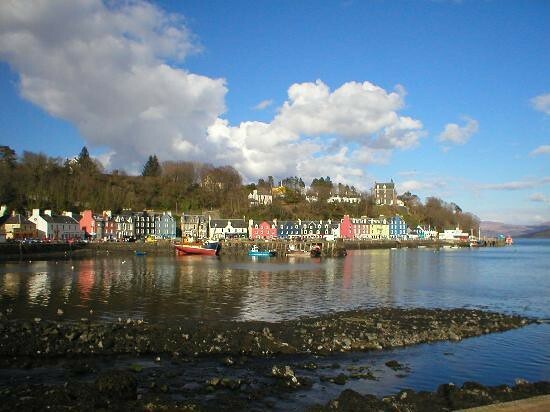 The first walk is to Aros Park, on the south side of Tobermory Bay. Start out from the car park near the distillery in Tobermory and follow the shoreline for about a mile to Lochan a'Ghurrabain, which is good for trout fishing. From here there is also a marked path around the loch (1 mile). A longer walk is to Ardmore Bay, three miles north of Tobermory. The trail/cycle path starts at the car park by the road that runs northwest from Tobermory. From here, it runs out almost to Ardmore point and back again, passing a couple of ruined villages on the way. There's a good chance of seeing seals and lots of sea birds in Ardmore Bay. The trail is four miles in total. 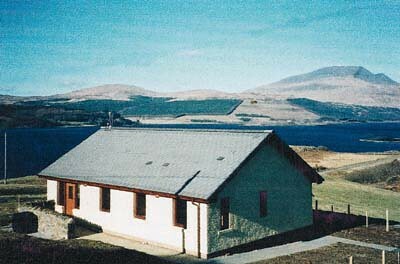 Four miles north of Craignure is the car park and picnic site at Garmony Point, where a two-mile trail leads to the Ferry terminal at Fishnish, hugging the shore all the way. Another trail (four miles) runs out to Fishnish Point and back through the forest to the car park by the old harbour. 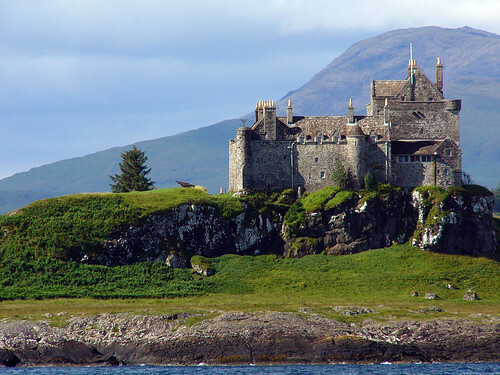 Duart Castle (Caisteal Dhubhairt in Scottish Gaelic) is a castle on the Isle of Mull with stunning views across the sound towards Oban. 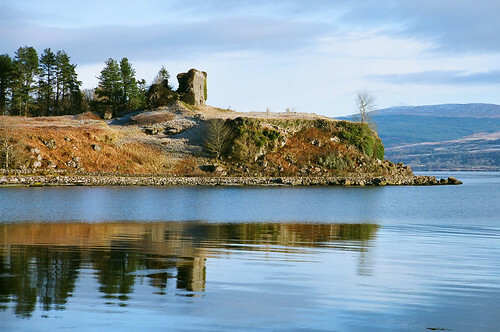 The castle dates back to the 13th century and is the seat of Clan MacLean. The interior is well preserved and is open to the public. Isolated tower castle on south coast of Mull near Lochbuie overlooking the sea. In ruinous state but still impressive overlooking quiet and isolated sandy beach. 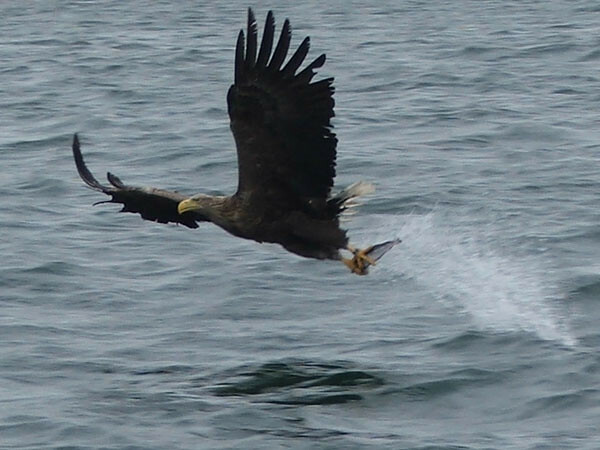 Sea Eagles often nest in the hillside above the beach. 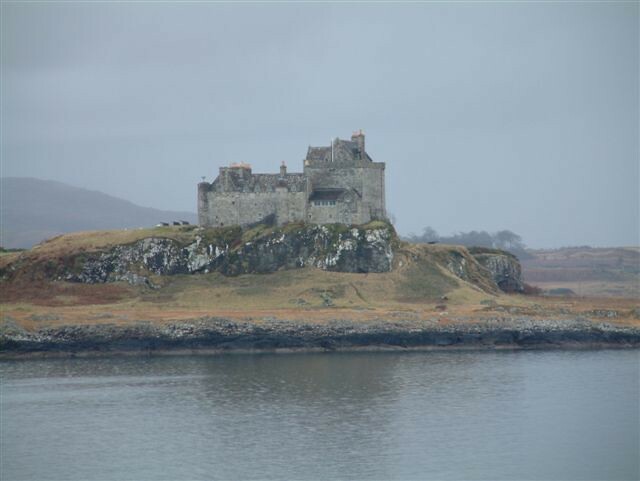 Ruined 13th century castle near Salen on the East coast of Mull in ruinous and dangerous state on headland. One of the great sacred shrines in Scotland and a magnet for pilgrims. You dont have to be religious to truly enjoy this wonderful island. 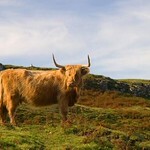 Suggested list of walks and excursions on Mull in the Inner Hebrides of Scotland. 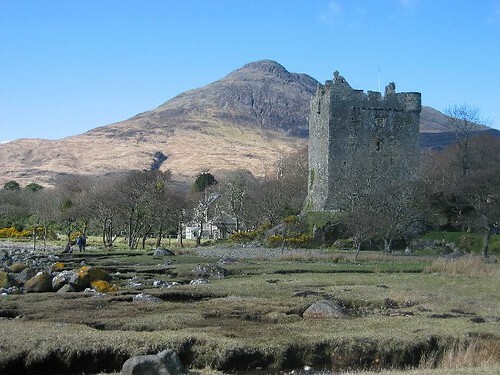 Mull presents numerous walking opportunities, ranging from gentle forest trails to wild and dramatic coastal routes, or even a spot of Munro-bagging for the more intrepid. 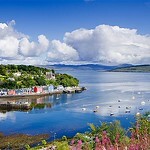 The massive chunk of island which is Mull sits comfortably with Morvern to its north across the Sound of Mull and Oban on the mainland to its east. 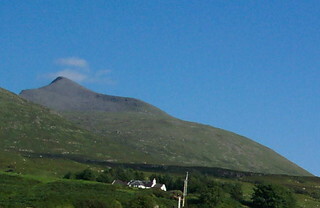 It contains Scotland's only island Munro outside the Isle of Skye, Ben More. 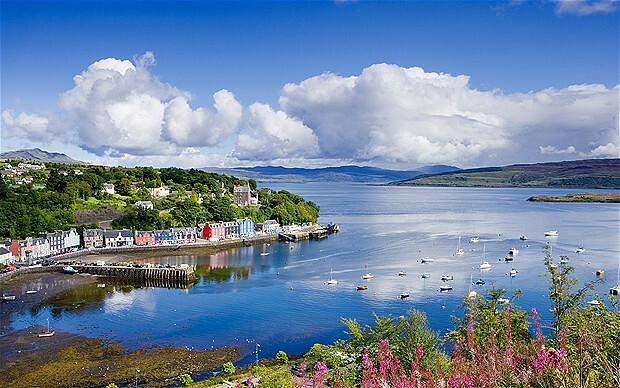 Check out the best hotel deals on Mull with LateRooms here. Situated on the beautiful and wild Isle of Mull on Scotland's West Coast, Achnadrish House, dates back more than 200 years. 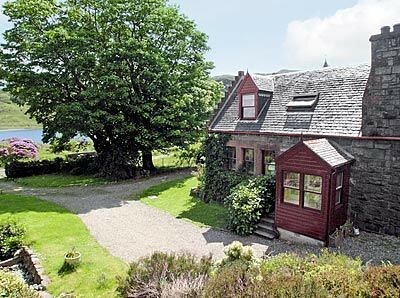 Rowan cottage is conveniently situated in the heart of the island of Mull within the village of Salen. 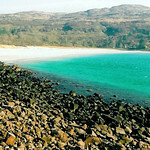 A perfect accommodation option to explore Mull`s unspoilt scenery and heritage. East Muntloch Croft, a friendly B & B is an excellent retreat in the country with outstanding views to the Mull of Galloway, Sea and Isle of Man on clear day. The West Wing of Achnadrish house, originally housed the servants of the house still retains a historical charm. 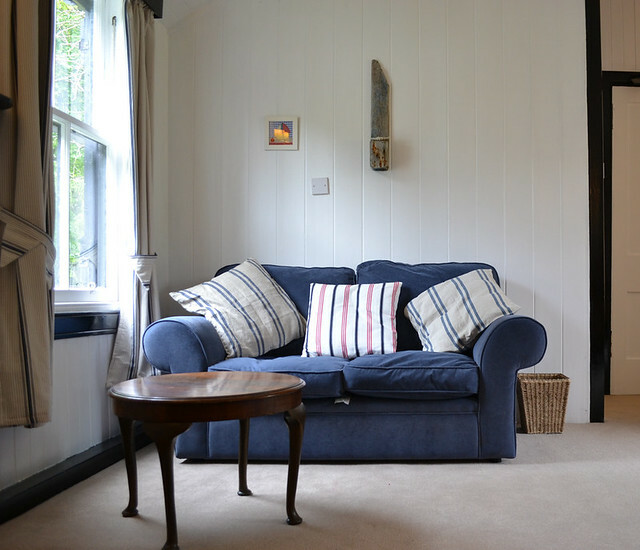 The White Cabin was originally built for the housekeeper of Achnadrish and is refurbished with new carpets, curtains, and kitchen. Small and rather romantic hut in Calgary Bay on the island of Mull in the Inner Hebrides. Sleeps 2 in double. No electricity etc. Remote & Lovely! 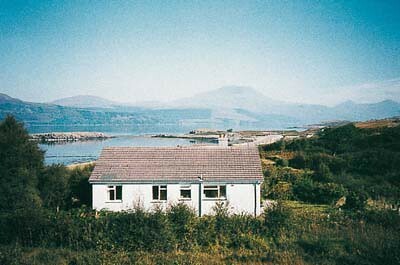 Modern cottage on the east coast of Mull midway between Salen & Craignure at Fishnish. Sleeps four people in two bedrooms. 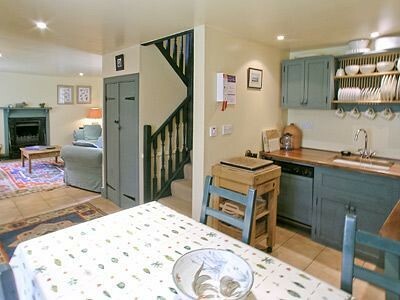 Modern ground floor cottage, six miles from Salen on the Isle of Mull. Sleeps four people in two bedrooms. The Pennyghael Estate covers approx. 10,000 acres, stretching from the shores of Loch Scridain southwards to the sea cliffs at Carsaig, overlooking Jura, Islay and Colonsay, and westwards for 5 miles ..